AirMedic Pro 5 MG Vocarb without UV focuses on VOCs (volatile organic compounds), chemicals, odors, and gases while the medical grade HEPA filters particulate matter too. Covers up to 1500 sq ft. Formerly known as 5000 Vocarb without UV, 5000 D Vocarb without UV, 5000 D Vocarb without UV. The Vocarb gives you extra filtration and protection from gases, odors, and VOCs. Similar to the former 5000 Vocarb without UV, 5000 D Vocarb without UV, 5000 D Vocarb without UV. 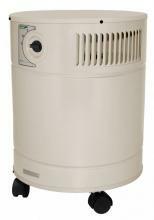 IMPORTANT NOTE: All savings & retail price are quoted based on Pro 5 MG Vocarb without UV air purifier as the base unit. As you upgrade & customize your model, be aware of the additional charges that may apply. *Please note $100 additional charge for 220V and international plug which is not shown in US pricing. 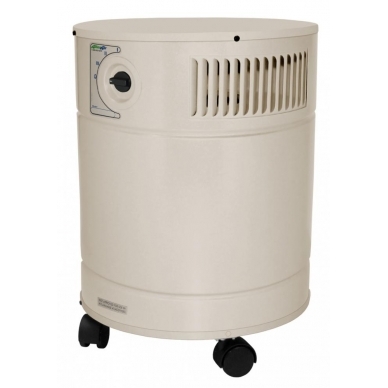 AllerAir Pro 5 MG Vocarb without UV Air Purifiers are ideal for areas 1500 sq ft or less. AllerAir Pro 5 MG Vocarb without UV filters fine particles, airborne pollutants, chemical gases and odors. The Pro 5 MG Vocarb is specifically designed to purify the air of airborne VOCs, chemicals, odors and gases. 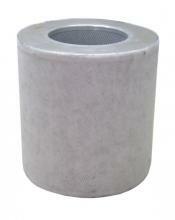 They feature a cylindrical shape for maximizing air-flow and a four-stage powerful filtration system. 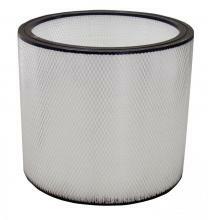 Includes a 18 lbs activated carbon filter, medical-grade HEPA and an easy-clean pre-filter. This unit (without UV) is ARB certified for California. It features a more compact design than the 6000 Vocarb, while still offering reliable chemical, gas, odor and particle filtration. The Pro 5 MG Air Purifier is also available in Exec which is specifically related to the need to filter VOCs. Exec - The AirMedic Pro 5 MG Exec unit also includes a Super HEPA filter to remove 99.99% of airborne particles (pollen, dust, mold, bacteria, viruses, pet dander) down to 0.1 microns in size. Download AllerAir Pro 5 Vocarb without UV Manual by clicking here. Download AllerAir Pro 5 Vocarb without UV Spec Sheet by clicking here.